information concerning, among other things, the company’s operations. available information and any information subsequently issued by the company. Commission will consider the need for prompt enforcement action. Regional Office of the Securities and Exchange Commission at (305) 982-6392. Fabrics for clothing lines and canvas shoes. Hemp Paper: (ALL) for writing on and rolling cannabis in. THC body LOTIONS/CREAMS (TOPICAL) reduces inflammation and pain. CBD body LOTIONS/CREAMS (TOPICAL) reduces inflammation while aiding in killing cancer cells. PetroTech Oil and Gas, Inc., (OTC Pink: PTOG) an oil and gas property acquisition and services company a recognized leader in their industry. PTOG was developed in a world where new technologies and global markets have changed the equation for profits in one of the world’s most lucrative industries. As a result, they have adopted a winning strategy to derive immediate revenue from existing reserves that have literally been left in the ground. 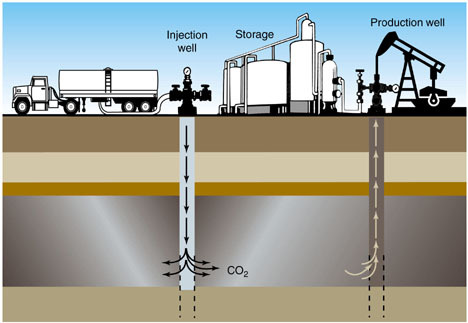 PTOG initiates, operates, and develops Enhanced Oil Recovery (EOR) opportunities within qualifying oil reservoirs in the United States using its Enhanced Oil Recovery method and technique. PTOG is also a construction and heavy equipment company and may bid on various third party jobs for State and Independent Oil Companies in the form of fee or Joint Venture; including but not limited to the Work over, Treating, Installation of Production equipment or Plugging of abandoned wells with the State Compliance Agency and bid on Road work for the State or independents as well; PTOG intends to obtain a license to gather oil / pick up from tank batteries and conduct trading of oil and other commodities, hydrocarbons and currency. PTOG is working on developing and acquisitions of technology in secondary oil recovery, oil and gas reporting software, trading software and Nitrogen and CO2 injection equipment. PTOG expects to utilize its technology within depleted reservoirs throughout the United States capturing hundreds of million barrels of stranded oil, therefore creating significant value for its partners and shareholders. Enhanced Oil Recovery is also called improved oil recovery or tertiary recovery (as opposed to primary and secondary recovery). The deployment of new technologies, which greatly reduce operating and extraction costs, allows PTOG to bring back to production previously producing wells and recognize near term cash flow. These funds provide the capital to further develop properties, resulting in reserve appreciation. PTOG's target market for acquisitions are large and small overlooked oil reservoirs where they can maximizeand recoveries while minimizing the injection time frame and capital investment. Based on their Reservoir Models, PTOG believes payout on any particular project will be between 6 and 12 months with IRR exceeding 300% during the initial 3-year production period. PTOG plans to Joint Venture new drill opportunities in more conservative exploitation ventures. PTOG uses multiple patent technologies for Enhanced Oil Recovery and in some cases will use their new pumping system co developed by Petrotech. PTOG uses this patented technology with other proven technologies currently used in the industry to drill, complete equip new drill wells and older wells with secondary production opportunities. Throughout the United States there are primary depleted oil reservoirs representing billions of barrels of oil that lend themselves to the use and exploitation of Enhanced Oil Recovery and PetroTech Oil and Gas, Inc.'s proven patented technology. Without EOR technology, these reservoirs will produce only about 20% of their Original Oil in Place. Gas injection EOR is a proven method that has been in use over the last 50 years in the oil fields of West Texas, Kansas, Oklahoma, Michigan, Wyoming and Oklahoma. Starting in the late 1990's PTOG started researching various EOR methods and sources of gases and mixtures of gases to find an alternative gas to pure CO2 for EOR. In doing so, they found that a N2-CO2 mixture was 2-3 times more efficient than CO2 in the recovery of stranded oil. Recently PTOG has been introduced to a patented exhaust unit that was more efficient than regular CO2. A new prototype of that equipment was then built for injection purposes; and is in the process of being further developed for commercial use. PTOG has analyzed the different types of oil producing reservoirs in most of the major geological basins in the United States and have determined that the use of their process and method will enhanced the recovery of stranded oil reserves in these areas that otherwise may never be produced. The pinnacle reefs, other reefs in Texas make excellent reservoirs for EOR because they are compact, have consistent reservoir properties, thick pay columns, and are overlain by an impermeable cap seal. However other formations have responded favorably as well. These reservoirs represent over 300 million barrels of recoverable stranded oil using PTOG's patented method and technology. CO2 floods have been successful on the reefs in the US with rates as high as 1000 BOPD. PTOG's process will have a major impact on the recovery of stranded oil in U.S. basins. This statement is based on the fact that they have an unlimited source of gas and do not need an expensive infrastructure to transport the gas. Plus the fact that it is proven that a mixture of CO2 and N2 is more efficient than CO2 in some trials. The cost and recovery of a project will be dependent on size of structure and depth; the cost will range depending on type of formation and type of treatment design. Hopefully, per project PTOG will capture an additional 20% to 40% of oil in place. Attempting to do this in a period of 5 years as opposed to the original 20% of oil that has already been produced; which may have taken ten to twenty years. Each successful project is estimated to have a six to twelve month payout. The United States oil production is in a state of primary depletion where 98%+ of all wells are defined as stripper wells. Typically, oil reservoirs produce less than 20% of their Original Oil in Place (OOIP) through primary production techniques. The remaining 80%+ lies in a stranded state unless an Enhanced Oil Recovery technique is initiated. EOR history has shown that various EOR techniques can help with the recovery of 50% of the OOIP. Historically, EOR has been implemented in reservoirs that have progressed through their Primary and Secondary Production Phases (Water Flood). The common practice is to sweep fluid through a reservoir in a horizontal manner from an injector well to producing wells. The production response time in reservoirs using CO2, Nitrogen or a mixture is excellent, showing significant production increases in less than one year. Currently, there are only 80 plus, Enhanced Oil Recovery Projects in the United States producing approximately 200,000 barrels of oil a day. Further development of EOR projects is expanding very gradually due to the shortage of pure CO2 from natural and industrial sources. Historically, EOR projects have the highest financial returns in the industry, even with the high development and infrastructure cost. Utilizing a new source of gas is critical to the expansion of EOR. PTOG looks to be in a prime position to benefit on what is expected to be a booming U.S. oil industry in the near future! The global oil market will be transformed over the next five years as faster-than-expected production growth in North America combines with a greater acceleration in demand than predicted among Asian and Africa countries, according to a new report from the International Energy Agency (IEA). The US will become the world's largest oil producer within the next five years and the rise in production is "even steeper than previously expected", said Maria van der Hoeven, the executive director of the International Energy Agency. As the U.S. looks to supply the growing global demand for oil PTOG and their cutting edge technology will be needed to maximize its domestic well production! Eddie Schilb will serve as President. Mr. Schilb has been involved in development of multiple areas of construction for a combination of Thirty Years; and has been an entrepreneur for 14 years. He has been involved in the management of many areas of Construction, Oil Field Construction and Heavy Equipment projects at times managing over 85 employees, dealing with City, Local and State Compliance agencies and authorities. He also has experience with government cost accounting methods and all related government acquisition regulations. Good knowledge of personal computers and associated software applications. AYO ODETUNMIBI will serve as Vice President of Operations and staff engineer. He received his B.S. Mechanical Engineering, June 1992. He has been involved in multiple designs of industry equipment. He received multiple Certificates in 2006 from THE UNIVERSITY OF NORTH TEXAS in Dallas; Texas Environmental Training and Hazardous Material Training including, Certification in 40-Hour Hazardous Waste General Site Worker (Environmental Training Program). He will be facilitating ventures for the Mobile Transport from third party groups as well as developing our own prototype. On October 2012 he recently completed a course in business management “starting a new business venture” at SMU Cox School of Business at the main campus (Southern Methodist University) Dallas Texas. PetroTech Oil and Gas, Inc. (OTC: PTOG:) has been informed today that BUYINS.NET, http://www.buyins.net, a leading provider of Regulation SHO compliance monitoring, short sale trading statistics and market integrity surveillance, has initiated coverage on Petrotech Oil and Gas (OTC: PTOG) after releasing the latest short sale data through October 28, 2013. 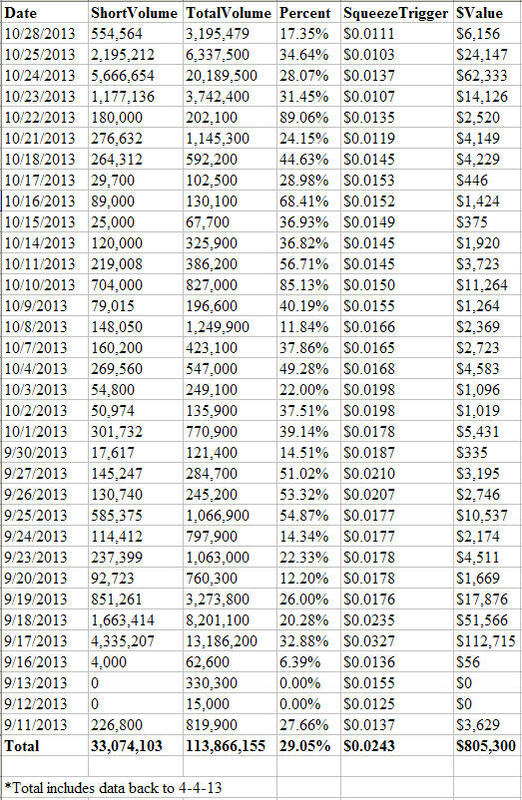 The total aggregate number of shares shorted since April 2013 is approximately 33 million shares. Approximately 29.05% of daily trading volume is short selling. The SqueezeTrigger price for all PTOG shares shorted is $0.0243. A short squeeze is expected to begin when PTOG crosses above its $0.0243 SqueezeTrigger price. Friction Factor calculates if a fair market is being made in the shares of PTOG. 41% of the previous 39 trading days have been positive or bullish-biased and 59% have been negative or bearish-biased. BUYINS.NET monitors PTOG market-makers daily for compliance with Fair Market-Making Requirements. Friction Factor - market-maker surveillance system tracking market-makers to determine Price Friction and compliance with new "Fair Market-Making Requirements". RegSHO Naked Shorts - tracks EVERY failure to deliver in all US stocks and all Threshold Security Lists daily for which stocks have naked short positions. 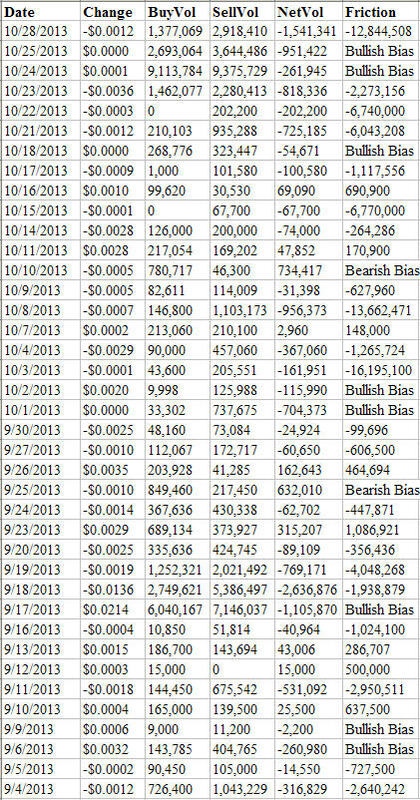 SqueezeTrigger - 40 billion cell database tracks EVERY short sale (not just total short interest) in all US stocks and calculates volume weighted price that a short squeeze will begin in each stock. Earnings Edge - predicts probability, price move and length of move before and after all US stock earnings reports. Seasonality - predicts probability, price move and length of move based on exact time of year for all US stocks. Group Trader - tracks sector rotation and stock correlation to its sector and predicts future moves in ALL sectors and industry groups. Pattern Scanner - automates tracking of technical patterns and predicts next move in stocks.